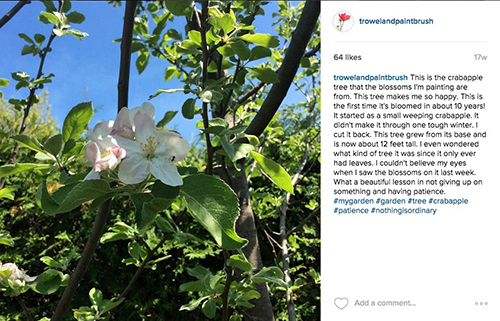 This past spring you may have seen my Instagram post about a crabapple tree in our backyard. I was very excited to see blossoms on this tree as it hadn't bloomed in over ten years. 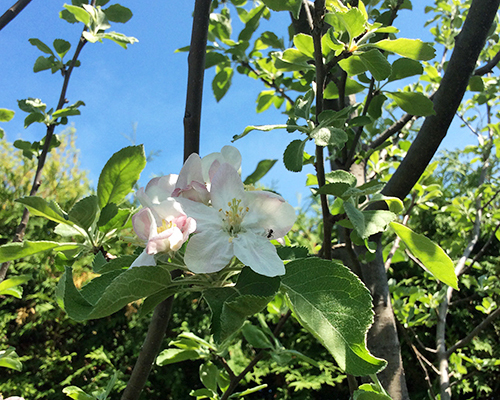 Well, imagine my surprise a few weeks ago when I walked beside that tree and saw not crabapples but apples on it! I was very, very excited and called everyone in my family to come out and see it. 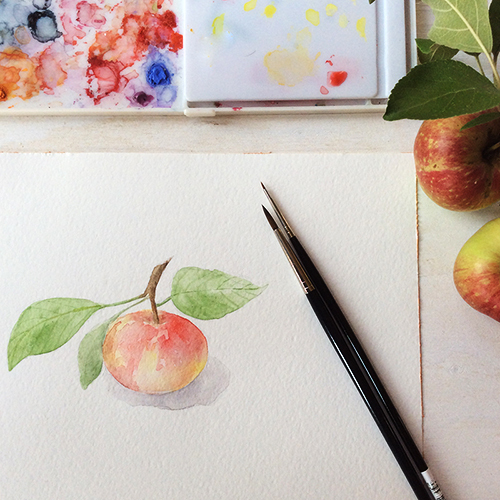 Then, of course, I had to paint one of the apples. I smile even looking at my painting. 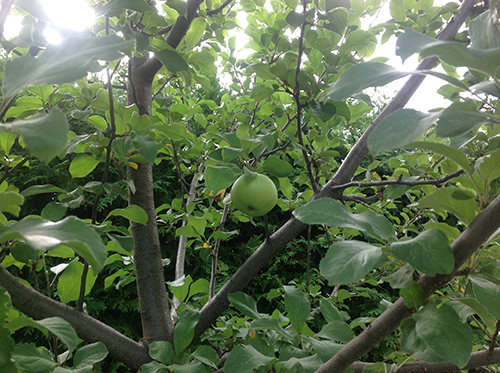 Our first little apple. So proud. This is one of the things I love about gardening. There are constant surprises and rewards, as well as reminders that we are not in complete control. 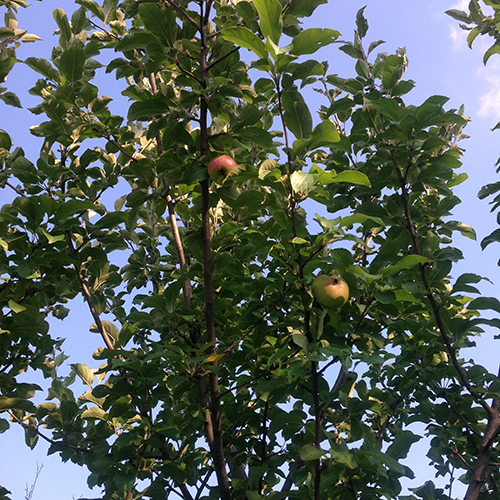 My guess is that my original weeping crabapple tree was grafted onto an apple tree base. When the crabapple top died, the apple portion sent up a sucker from the roots and that is now my beautiful 12-foot tall apple tree. I am happy to say that I have 5 x 7 prints available of both my apple blossom and apple paintings. I just listed them in my shop today! 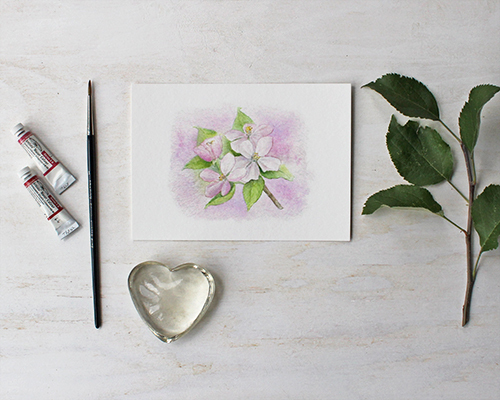 Click the photo to see my 'Apple Blossom' print in my shop. 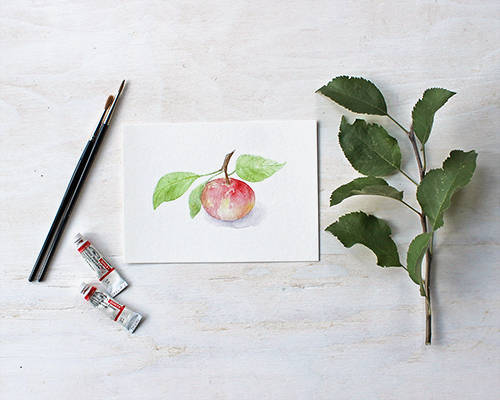 Click the photo to see my 'Apple' watercolor print in my shop. From now on, I will only be listing my new work in my own shop on Shopify and not on Etsy. I hope you will visit it every now and then. I will be adding more things in the weeks ahead. It's going to be a great autumn! 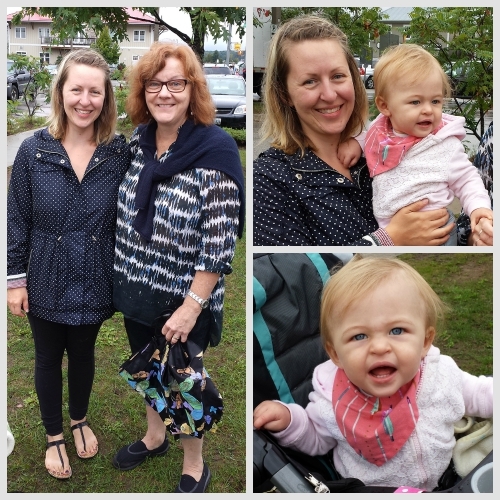 It was a very rainy Wednesday morning a week ago when I finally met my friend, Sarah Norwood, and her sweet daughter Isabel in person for the first time. In January of 2013, Sarah and I both volunteered to take over the Canadian Etsy team called Team Canuck, now known as The Canadian Collective. We didn't know each other at all except for both being members of the same team. Over the past three years, we have corresponded countless times about the team, Etsy, our online businesses, motherhood, our pets and everything else in between. We have shared laughter and tears. One of the coolest things was when we found out that we both were born on July 1st, Canada Day! Despite our drenched state, I think we look pretty happy! Sarah lives in Orillia, Ontario. My parents live in Gravenhurst about a half hour away. Because Gravenhurst is a seven-hour drive from where I live, we don't get there more than a couple times a year and our visits tend to be busy with family. I've thought so often about meeting Sarah and finally we made it happen! Sarah volunteered to drive to Gravenhurst so we could meet at the wonderful open-air farmers' market that takes place there every Wednesday during the summer. That morning it didn't just rain, it poured, but we didn't care. It was exciting to see each other in person. I am also so happy to have met Sarah's baby, Isabel. What a sweetheart she is! The facial expressions she makes are completely adorable. She looks like she can't quite believe she met me either! 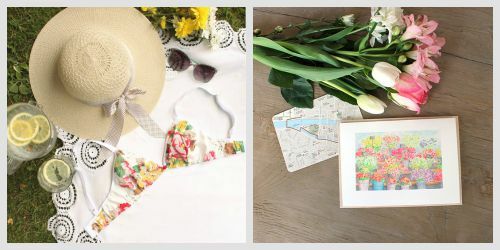 If you don't know Sarah's beautiful lingerie business Ohhh Lulu, you should have a look. Her creations are exquisite and are all handmade by her. She also sells sewing patterns of some of her pieces. She was just featured in a big article this past weekend in the Globe and Mail about handmade Canadian lingerie. I am so proud to know her! When at the Gravenhurst Farmers' Market, I can never leave empty-handed. 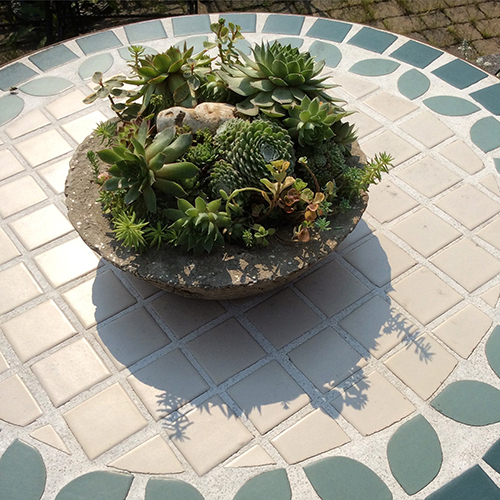 Aside from the happy memory of meeting Sarah and Isabel, I left with butter tarts to share with my family, chipotle hot sauce, mango jam, some Thai dipping sauces and this gorgeous succulent garden!